myDMX Buddy is a scaled down, entry level version of myDMX 2.0. 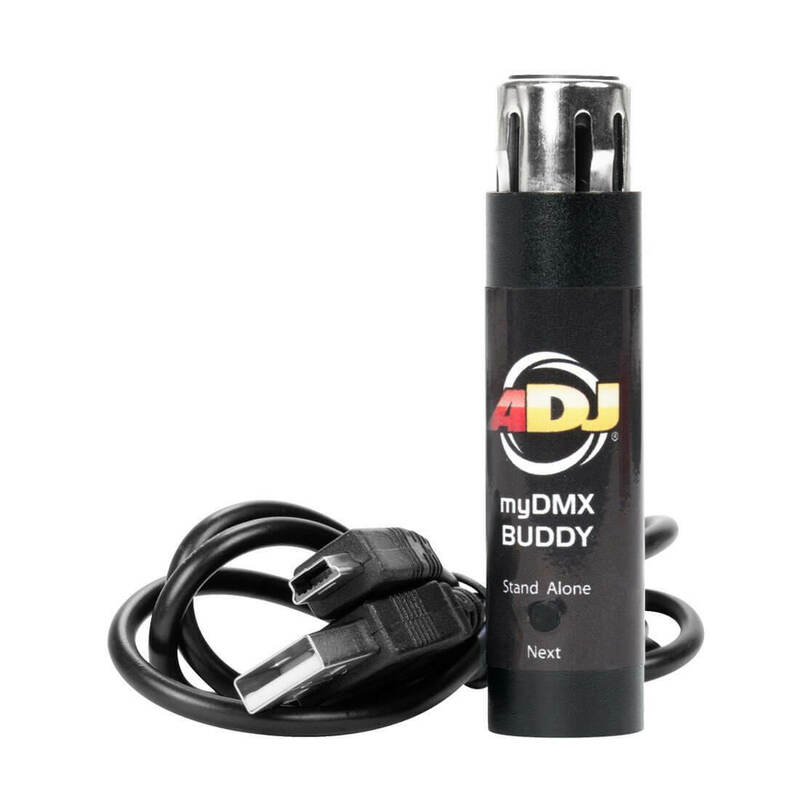 Out of the package, myDMX software will run in limited mode: 3D visualizer, Easy Remote, Midi features or Stand-Alone Mode (the stand-Alone/Scene button of MyDMX Buddy) and other features like 512 DMX channel control via MyDMX Buddy can be purchased as upgrades at www.dmxsoft.com. The dongle plugs directly into a 3-pin DMX input on your lighting fixture. The dongle connects with a computer via a USB connection.